This post deals with changes to IRM section 8.11.6.1 dealing with appeals and filing requirements. There are additional changes to the IRM regarding FBARs. These will be detailed in future blog posts. Revised IRM section 8.11.6.1 now notes that the paper FBAR form, TD F 90.22-1, is obsolete. FBARs must now be filed electronically on Form 114 through the IRS’ Bank Secrecy Act E-File System. Post assessed FBAR cases in excess of $100,000 cannot be compromised by Appeals without approval of Department of Justice (DOJ). Once assessed, the penalty becomes a claim of the U.S. government. 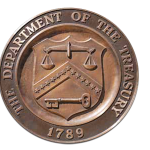 Although the IRS was given the authority to administer the FBAR program in 2003, the program still belongs to the Treasury Department and not the IRS. Before IRS Appeals can compromise a large case, they must seek permission of DOJ. Pre-assessed FBAR penalties are eligible for Fast Track Settlement only if the FBAR 30 day letter, Letter 3709 has not been issued to the taxpayer. Pre-assessed FBAR penalties are also eligible for Fast Track Mediation. The new IRM section notes that there is no joint and several liability in FBAR penalty cases. Interest on FBAR penalties does not accrue until the penalty is assessed. Another important provision deals with bankruptcy relief. The IRS takes the position that Bankruptcy does not provide relief for FBAR penalty debt. Post-assessment FBAR penalty cases are priority cases and must be worked “expeditiously”. Appeals requires these cases be completed and approved within 120 days of assignment. The venue for challenging FBAR penalties is the United States District Court, not the United States Tax Court. As the implementation date of the new FATCA law draws near, the IRS is gearing up for many new disclosures and appeals. To best represent your clients, it is important to stay on top of the changes. One of the best ways is by reading the IRM, the IRS’ internal procedures manual.